With Realestate.com.au now looking for a new chief exec and chief number cruncher, we thought it was time to look at the positives for the online property spruiker's busy chairman, Hamish McLennan. It will give him the excuse he needs to step down from the $250,000-a-year gig and focus on the mess he needs to fix up at his $2 million-a-year day job as CEO at Ten. Sure, McLennan faces a drop in pay from losing his moonlighting job, but it isn't like he has any skin in the game. 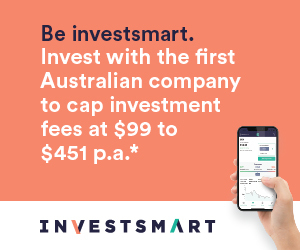 Realestate.com.au's annual report does not mention him owning a single share. McLennan got the gig as a result of his previous day job at News Corp, which owns 61 per cent of the dotcom, which has doubled in value over the past 12 months. The departures from Realestate.com.au also give Rupert Murdoch a chance to chat to McLennan and Ten chairman - his son Lachlan Murdoch - without generating any pesky rumours about taking over a vulnerable Ten. On the downside, it might also distract Ten from some serious deficiencies in its cutting-edge digital operations. The network may be able to fast-track shows from the US and distribute them on several platforms, but we have been informed that the ability to webcast Wednesday's shareholder meeting in real time is beyond it. It is hard to imagine, but things could have been worse for Ten's investors. A few weeks ago representatives from the Australian Shareholders Association met Murdoch and independent director Brian Long. This was the meeting that elicited the famous promise from Murdoch that he would eat the table in his office if News Corp acquired the embattled broadcaster. The foursome walked out of the meeting to the sight of fire engines and a recently evacuated building. The fire alarm had gone off apparently, but nobody wanted to disturb the highly sensitive meeting, an employee told the ASA reps. It sounds like Ten's employees have gotten a little too used to alarms going off at the network. Australian Workers Union powerbroker Paul Howes is one union leader Qantas boss Alan Joyce will not get the chance to eyeball across the table at the Flying Kangaroo's headquarters in Sydney on Wednesday. The once faceless man, and soon-to-be other half of Qantas executive Olivia Wirth is on leave. Besides, Howes has exempted himself from love-ins between Qantas' top brass and union heavyweights because of his perceived conflict of interest - which presumably will soon extend to freeby flights at the pointy end of the plane. The talks come as the airline's executives attempt to ensure that its loyal workforce hears "the facts" about Qantas and Jetstar's dual-brand strategy. In a memo to staff, Qantas executive manager Alison Webster set the record straight on the "incorrect assumption" that Qantas would be in a better position if it had not invested so heavily in Jetstar. She reminded staff that Jetstar was "not the competition", and emphasised Qantas' input in Asian offshoots of "modest upfront capital (not the inflated figures so often quoted in the media)". We assume she wasn't referring to the extra $60 million Qantas recently injected into Jetstar Japan, which takes its investments in budget airline offshoots in Asia to about $277 million. Rugby league legend and former Storm Financial adviser Wally Fullerton-Smith was forced to surrender his passport to the corporate watchdog on Tuesday, and faces five years' jail, after he was charged with making a false or misleading statement to obtain financial advantage. The former Queensland and Australian rugby league rep is now on conditional bail after he allegedly "misled an elderly couple from NSW in 2007 with the intent to obtain a financial advantage", according to ASIC.